Proofreading your PhD can be a difficult task, after months of research and putting your research to paper, proofreading can seem like a laborious task. Especially since you will be so familiar with the content that you may find it difficult to spot even the most obvious of errors. In this post, we provide five key tips to help you proofread your PhD. If you are close to the deadline for submitting your PhD the last thing you want to do is to proofread your PhD while you are tired and fatigued. Having some rest will allow you to gain your energy and focus back. It will also allow you to look at your work with a fresh pair of eyes. As often people can become accustomed to their work and writing style glossing over errors. Trying to pronounce the words will make you more effective at spotting potential flaws. As the sound of your own voice will help you to focus on the words and notice any errors. It will also help you to better focus on whether the points you are making are logical as often when we hear words and phrases aloud they can sound different to how we imagined. You may also find it helpful to make a list of mistakes that you have spotted. Most people will repeat the same mistakes over and over again, making a list will allow you to spot the mistakes you repeatedly make, helping you to avoid them in the future. This will also make you better at spotting those mistakes further down the text. An immense amount of research and work goes into writing a PhD, however people often leave checking it to the last minute. Ultimately the way it is presented can have a big impact on the reader, seeing mistakes also creates a negative impression and can affect your credibility as the author. This is why it is essential that you allow enough time for proofreading your PhD. Check your PhD, take a break then proofread it again. Until it is perfect keep repeating this process, as your PhD once out there cannot be changed, so you have to get it right! It is sometimes helpful to get a second opinion, you may find that you have checked your work numerous times and just as a precaution you want to get the advice of a third party. Having friends and family proofread your PhD can be one option, you can also ask your tutors. After exhausting such options you should also consider using a professional proofreading service, who are trained in meticulously proofreading PhD’s. At Express Proofreading we provide a professional PhD proofreading service. Placing an order for our proofreading services is easy, simply visit the Instant Quote page. Upload your document then our Quote Generator will calculate a personalised, instant quote for you based upon the word count of your document. If you are happy with your quote you can then click ‘Place Order’ and proceed to our secure checkout page. Then sit back and wait for the proofread copy to be returned back to you. 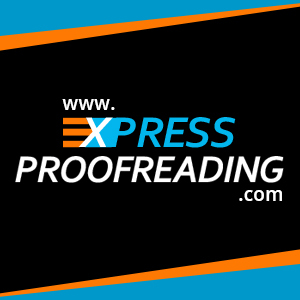 Express Proofreading is a leading English proofreading and editing service, providing professional proofreading services to students, businesses and to authors. We have an expert team of editors and specialise in providing high quality, professional, personalised proofreading services. Obtain an Instant Quote today by visiting the Instant Quote page.